legacycentral bbs • View topic - Steering column question. Post subject: Steering column question. Knowing the STI rack fits and all, what about the GD steering column, would that fit to the first gen chassis? As some of you may know, I have a GD Dash in my first gen along with the newer wiper stalk that doesn't mount correctly to the BC column. Because of how it mounts I cant use the column trim pieces to suit the dash. Well I helped a buddy out yesterday that's parting out a wrx, for helping I got to keep the rack, column, trim, the steering joint/knuckle, and some other misc things. I have been doing some searching for most of the morning about the swaps and mostly I'm finding STI rack in a legacy and STI wheel in a legacy, but nothing about a GD Steering column. I am still going to be searching but I thought I would ask you guys. If I find the answer I will provide Links for future searches. 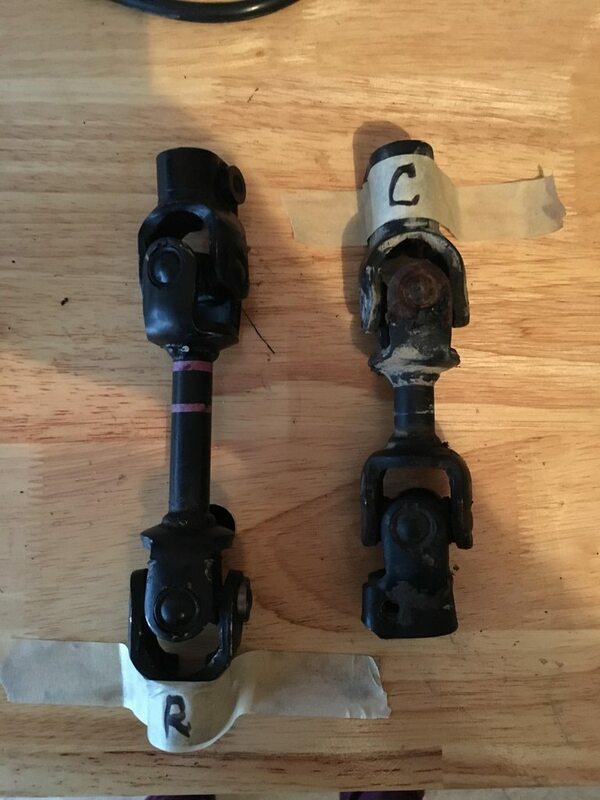 Post subject: Re: Steering column question. My suggestion would be to search for people using STi steering columns in WRX's or vice versa. If you find that there are differences between them, then you'll likely know what needs to be done for your Legacy if the STi column fits without modification. I would imagine the gd wrx and sti column would be the same. What do you think based off your knowledge? I would tend to agree with you, but my knowledge of the newer Imprezas isn't that great. Would this be purely for cosmetic reasons? To get the interior finished off or do you want the quicker STi rack? at the bottom on this page there is a changeover link to use GD rack in GC chassis, eliminating the need to change the column. I have a gd wrx rack and column now so that's my plan. The wrx isn't any better than the turbo legacy. The plan is to finish off the interior so it doesn't look like I stole the car. I just put a GC crossmember and rack into my first gen, it bolts up perfectly but the steering joint/knuckle isn't the same. The GC one is longer than the OEM legacy one by a good bit. It doesn't look like it can be taken apart, do you have any experience with this issue or know what a fix may be?